THE Mundubbera Jaycettes raised $1550 for Cancer Council Queensland with their biggest Girls' Night In yet. Roses and Frangipanis set the scene for the floral theme on Saturday evening as the Mundubbera Jaycettes hosted the event at the Mundubbera Bowls Club, raising vital awareness and funds for Cancer Council Queensland's work in breast and gynaecological cancers. 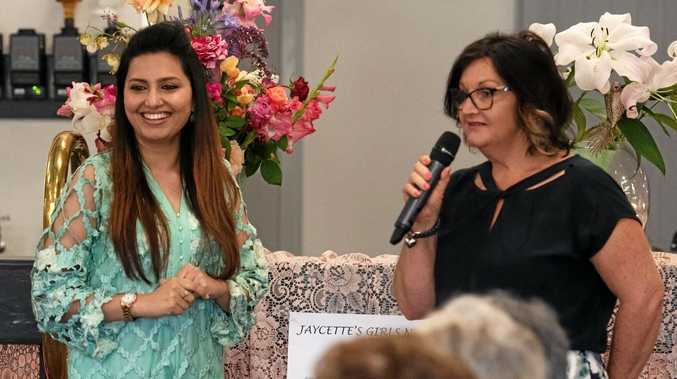 Jaycettes president Gayle Pott said this year the group's Girls' Night In saw a record crowd treated to guest speakers, prizes and catering by Kelly Voss. "The relaxed evening also saw food wizard Kel Voss, display her talents with a magical grazing Table and Gourmet treats,” she said. Mrs Pott said the turnout was well up on previous years and the event was larger than ever. "In 2017 we held the event at the Royal Hotel and it was just so full that this year we decided to move to the Bowls Club so we could cater for everyone who wanted to come,” she said. Dr Bushra Mumtaz, a local GP, spoke about General women's health and importance of looking after our mental health. Speaker Natalie Mann shared a personal story and followed up with the importance of balance, and how that looks in everyday lives. "And Elly-May Dingle talked about the importance of good nutrition, a balanced diet, exercise and mindfulness during her presentation of 10 simple ways to improve the mind and body,” Mrs Pott said. Six local business had trade displays to show off their skills, and merchandise and crafts were for sale. Pianist Judith Woodmiller Huth charmed guessed with background music. "A Lucky door prize, mega multi draw raffle and best-dressed ladies competition where held to add more fun to the night,” Mrs Pott said. Mrs Pott said the Mundubbera group had been involved in Girls' Night In since the campaign started. "It's something we always support through our events because we've had members, friends and family who have been affected by cancer,” she said. 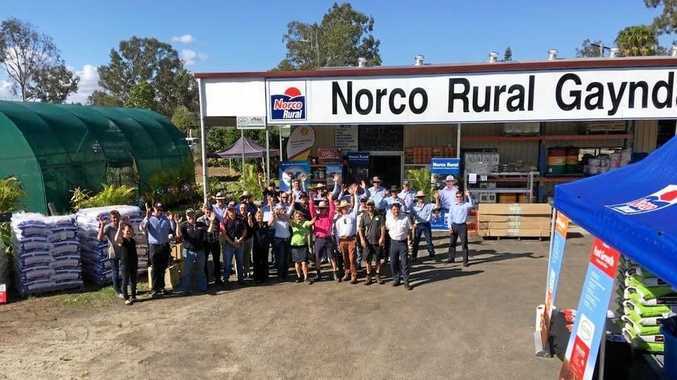 CCQ CEO Ms Chris McMillan encouraged other groups in the North Burnett to get involved and asked local women to register to host an event this month. "In the Wide Bay-Burnett region, sadly there are around 165 women diagnosed with breast cancer each year and about 30 women diagnosed with a gynaecological cancer each year,” Ms McMillan said. "Campaigns like Girls' Night In allow Cancer Council Queensland to work across every aspect of women's cancers and be here to offer support for these women when they need it most. Register your Girls' Night In event at girlsnightin.com.au.